Note: This review was originally written in the early 2000s and published for a no longer running website: AudiobookCafe. What’s magical, wooden, and has an affinity for trouble? Everyone’s favorite magical marionette, Pinocchio can be a downright nuisance or at least his original version can be. While Carlo Collodi’s “Pinocchio” has many similar traits to his Disney-counterpart, the original Pinocchio has many more misadventures and can be a most troublesome juvenile. The original story of Pinocchio by Collodi illustrates the impulsivity of youth and the burdening weight of adulthood. As part of my teaching Pop Culture in the US this semester, a course that I've been teaching for 8 or so years (and online for about 6), I decided to spice up the course in many ways. One way I'm trying new things is by creating a web-series on moments in pop culture where I think about and discuss something that I am enjoying in popular culture that week. This week, I tackle a moment within Season 2 of The Chronicles of Shannara. You can watch the video or you can read the text below. (Since I had to make a transcript, I figured I might as well share that too!). Let me know what you think! Here is the link to the video on YouTube. So this is a new series I want to try to do in the ensuing year called, The Weekly Pop: A Reflective Moment In Pop Culture. The series is primarily for my students but I am making it available for others who might also find it interesting and enjoyable. So let’s start with this clip. 2018 Goals--What Am I Aiming For? My goals for 2018 are not super-ambitious. Mostly because the biggest goal on my radar for this year and the next two is obviously completely my dissertation. And since I'm posting this at the end of January--I think it's clear, I'm not prepared to take on too much. But since I made goals for 2016and 2017, it follows that 2018 needs some direction as well--I think these serve as good balances to my year-in-review posts that I've done for 2014, 2015, 2016, and 2017. So, here's what I got! So I'm breaking them up into physical health/training and intellectual goals because that's just how I do things! Note: This review was originally written in the early 2000s and published for a no longer running website: AudiobookCafe. This review is focused on both the book and audiobook. Welcome to Zion County, home to simple folk and simple ways. In a town where nothing really happens, one can be sure that the gossip mill runs ramped. So, when ostracized Taylor Dupree returns to town to help his ailing Aunt Bella, the news spreads faster than any plague. And Donette Sullivan and Ellis Clark are certainly plagued by Taylor’s surprising reappearance. “Making Waves,” depicts four very distinct characters, Donnette Sullivan, Taylor Dupree, Aunt Bella, and Ellis Clark by splitting up this story into a series of first-hand narratives by these main characters. Cassandra King tells an intriguing, ingenious, and heartfelt story through these four pairs of eyes. 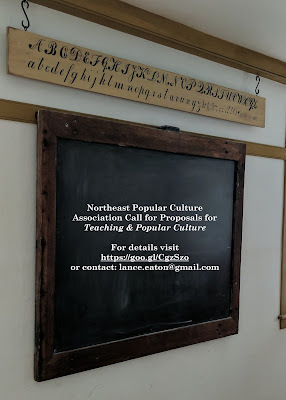 Call for Proposals: Teaching Popular Culture - First Call! Teaching courses focused specifically on “popular culture”Teaching courses on an area within popular culture (e.g. 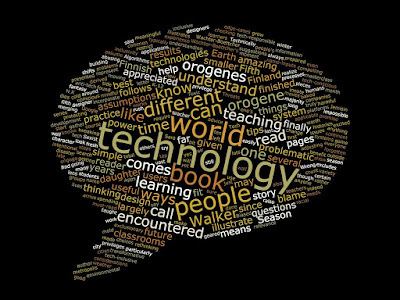 courses that focus on the content and cultural aspects–not necessarily the “how-to” aspects of comics, video games, horror, Harry Potter, baseball, The Beatles, etc).Teaching mainstream courses using popular culture (e.g. baseball statistics for explaining, statistics, Buffy the Vampire Slayer for explaining political theory, Star Trek for exploring biology). So yesterday, I had the opportunity to do another fun presentation. This time, I was presenting on thinking about group work, particularly in online courses. It's something I work with faculty a lot on and NERCOMP was looking for someone to do a webinar, so I threw out the subject. It wasn't my first time presenting or doing a webinar on it since I was asked to do one internally at Brandeis back in September. I always enjoy webinars and getting an opportunity to share and chat with other colleagues throughout New England, but webinars can be weird since you often don't see the others in the room and you are literally just talking at your screen for long stretches of time. I particularly like NERCOMP because they are a great community of faculty, staff, and administrators from throughout New England at many different institutions. Those active readers will remember that I set out with some goals in mind for 2017. They were reasonably ambitious and in the end, I have mixed results. Some I hit, others I missed entirely, and yet others are somewhere in the middle. I'm ok with this and don't see it as a failure. I had a lot happen in the past year including both my partner and I starting new jobs, moving, and completing significant steps in my doctoral program. So the fact that I upheld many of these goals at all made me quite happy. Complete a Triathlon This did not happen. I had trouble with getting into a training routine and then also scheduling it. It was not the smartest idea to try for this during a year in which so much happened. Ok, catching up with all the amazing reads that I've encountered in December. I even finally read Foucault's book after years of reading the first 60-80 pages, again and again. So what are the highlights in this month?